Haniger won't take batting practice or play in Cactus League games for next few days. Vogelbach will get more tests on the swollen foot. 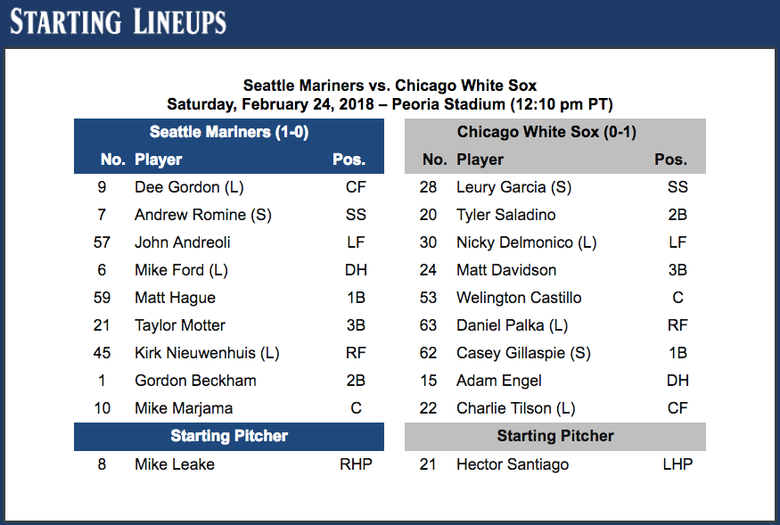 PEORIA, Ariz. — Two days into Cactus League play and the Mariners’ list of players dealing with injuries has increased by two. Outfielder Mitch Haniger has some discomfort in his right hand and won’t play in the first week of Cactus League games. 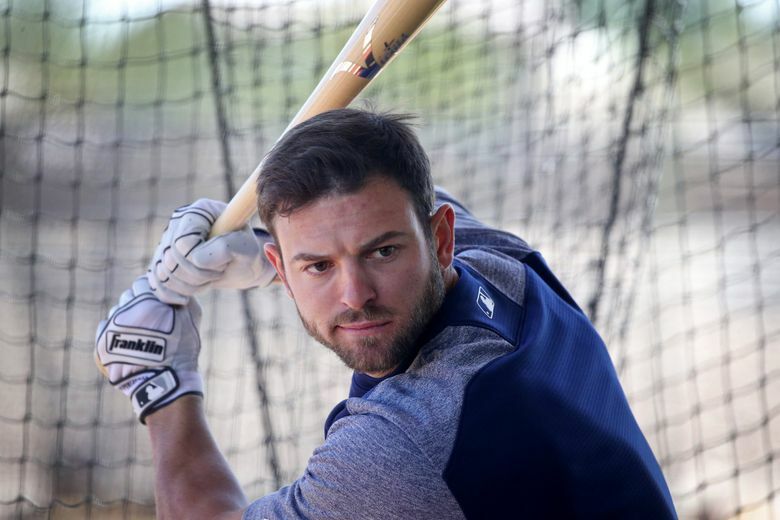 Admittedly, the offseason hand soreness for Ryon Healy that eventually led to surgery made the Mariners wary with Haniger. Haniger didn’t seem too concerned. He will still do some cage work, tracking pitches and also taking bottom hand swings with his left hand. Haniger said he felt some discomfort about a month ago, but it wasn’t consistent pain. He’d have a week where he’d feel nothing in the hand and then a week where it would be there. Haniger will still participate in outfield and baserunning work, but he won’t throw to protect the hand. 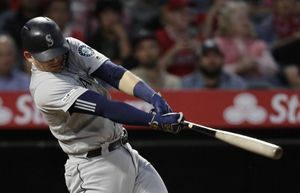 While Haniger rests his hand and does other things on the field, it looks as thought first baseman Daniel Vogelbach won’t be doing much for the coming days. 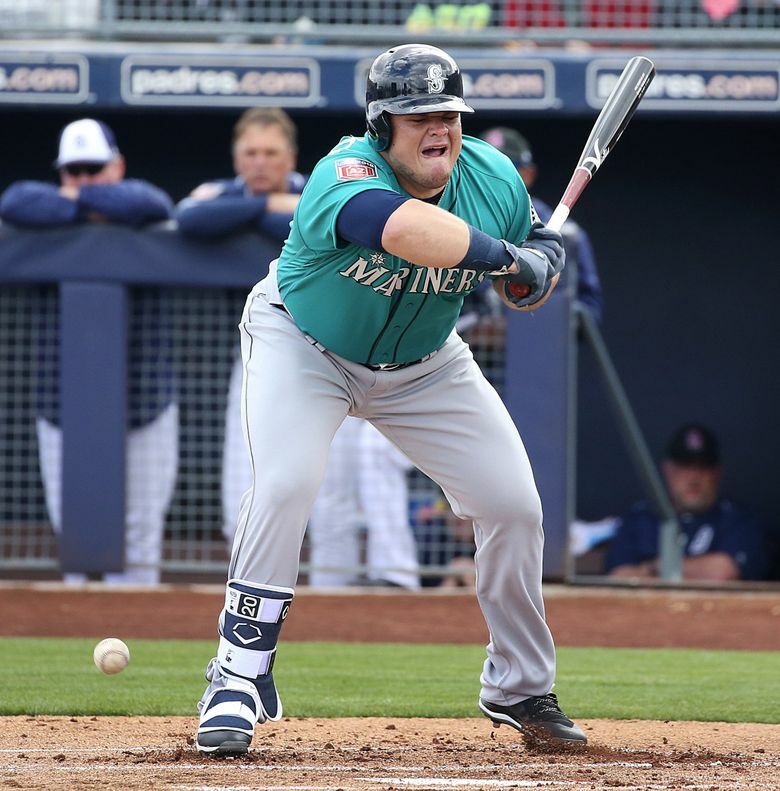 Vogelbach appeared from the Mariners’ training room on Saturday morning with a large walking boot on his right foot and using one crutch to hobble down the hallway. He was leaving the complex to have a MRI on his foot. “I got hit with a pitch in my first at-bat and it just blew up over night,” he said. Indeed, Vogelbach took a fastball off the foot from Padres pitcher Brett Kennedy. 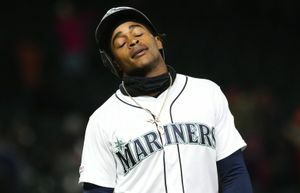 He was in obvious pain but remained in the game as the designated hitter. He even hit a double in the sixth inning. Healy could be back on the field doing defensive drills in five or six days. Servais said that reports from Felix Hernandez’s live batting practice were positive and that he looked good in the session. Hernandez will start on Monday in Mesa against the Cubs.